This pre-cut material is used to make borders around the deck, to create the look of a traditional teak deck. The design possibilities are endless with PlasDECK! This pre-cut material is used to make borders around the deck, to create the look of a traditional teak deck. Natural teak decks are built with margin borders around the outside of all areas. These boards help seal and protect the end-grains of the teak deck wood so that the wood will last longer. 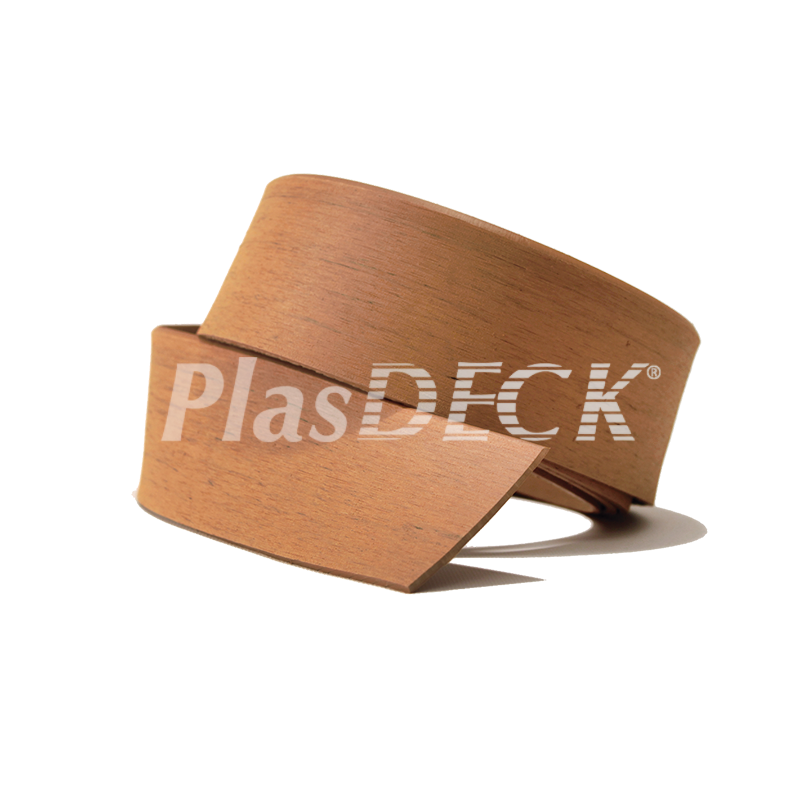 Of course, PlasDECK synthetic teak decking doesn’t require borders because it won’t rot, but adding borders to PlasDECK provides the most traditional look. Or, if desired, borders can be added as accents only, like along the back of a swim platform or at the edges of steps for visibility. When partial borders are used, we call it “hybrid style.” The design possibilities are endless with PlasDECK! This edging piece has a tapered edge on one side to make a smooth transition from the decking to the rest of boat. Each piece is 3” wide and 8’ long (152mm x 2.44m).